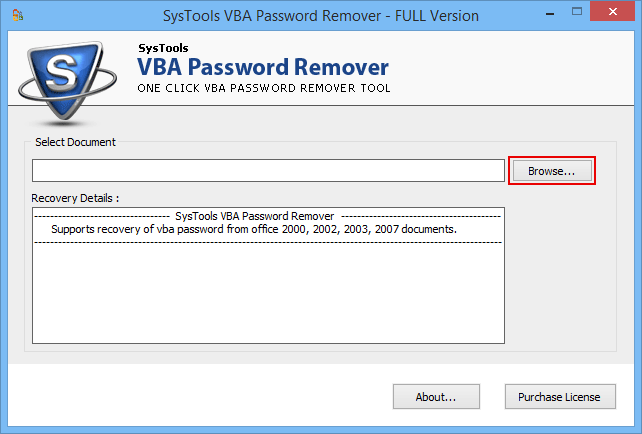 Begin VBA password remover software from Start menu > All Programs list. Click on Browse and select the file from the desired drive partitions. 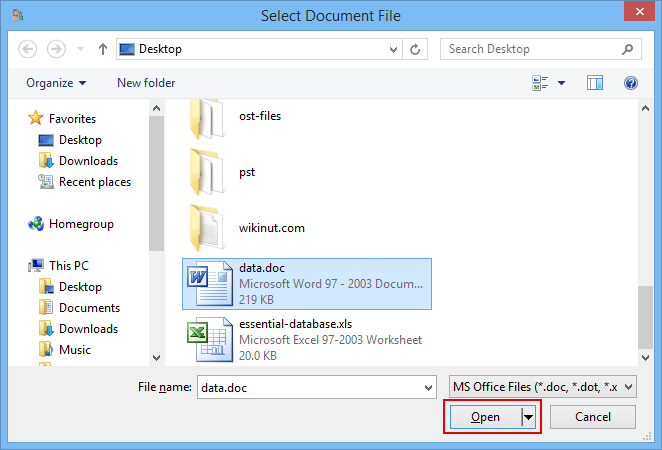 Now, select the document file that is having password and click on Open. 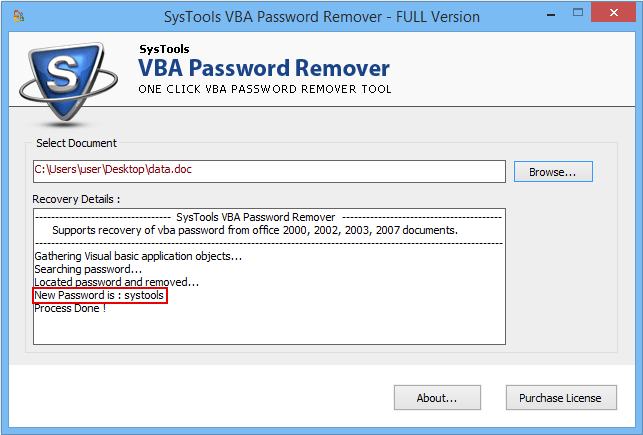 After processing the file, the software will remove the old password show the newly formed password.